It has been stated and proven time and again for the past three decades that tanzanite is more in demand than most other gemstones in the world at present. Yes, it is a stunning blue, but what about all the other factors that influence this graph of popularity? The first and foremost aspect is of course the perfect and unmatched blue. A high grade tanzanite is both saturated and tonally balanced, clear enough to refract light through its facets and yet its color intensity is not sacrificed. These qualities are idyllic in a gemstone, making tanzanite one of the most important colored gem discoveries in the world. A stone of such outstanding quality is bound to be rare. Rough tanzanite is mined in a few mile radius in Tanzania and nowhere else, making this gemstone over a thousand times scarcer than even diamonds! Like every other gem in the world, rarity has a tendency to hike the value and popularity of objects. Combined with its striking appearance, the rapidly depleting mine capacity of tanzanites (which will only last a few decades more) has put it in front of most other gemstones and crystals of the world. 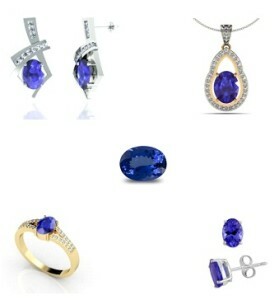 The tanzanite blue has a dispositional tendency to suit everyone’s needs and flatter both formal and casual outfits. This makes it a gem that is widely worn by the masses. It is easy to work with – neither too hard nor too brittle in terms of its value on the Moh scale – and its saturated hue often hides flaws in lower quality gems used in fashion jewelry. One of the most used gemstones when it comes to latest fashion jewelry, tanzanite is used in combination with numerous other gems – especially subtly colored ones like amethyst and quartz or clear ones like diamonds and zircons. The blue heightens and augments the clear diamonds or the gently tinted amethyst and in turn is enriched by their sparkle. This priceless association of colors and shimmer give it a deep and unparalleled vivacity and fervor. 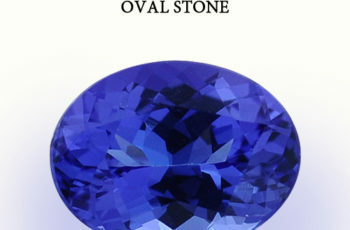 Flexibility and use extends to the fact that oval tanzanite are featured in most kinds of jewelry. 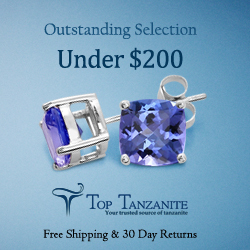 Tanzanite stud earrings have hit the market with a bang and they are sure here to stay. Minimalist and restrained fashion statements made by studs have been given a new and energized twist with the advent of colored gems and contemporary designs; oval cut tanzanite stud earrings are at the forefront of this movement. 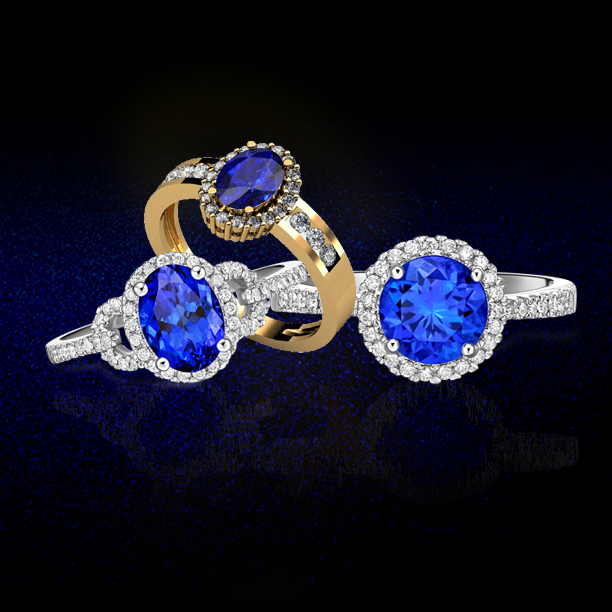 Tanzanite’s set in white gold or platinum with halos of diamonds make for some good looking rings! 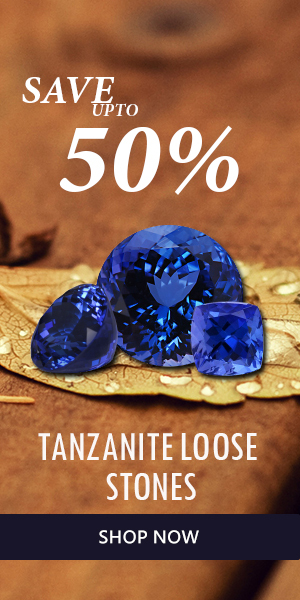 If you aren’t one for jewelry but would like to own a tanzanite there are a lot of reasons to support that purchase. Not only does its depleting mine capacity make it a great investment option, in terms of crystalline energy levels tanzanite is known to have a calming effect on the wearer. Tanzanite loose stones and cabochons are often bought to keep at home as it is said to establishlinks between your mind, body and heart and balance the positive and negative elements in your life to restore stability. A stone with extremely high internal vibrations, the stone is used for metaphysical healing but owing to its grounded earth elements it is suitable for novice explorations as well.